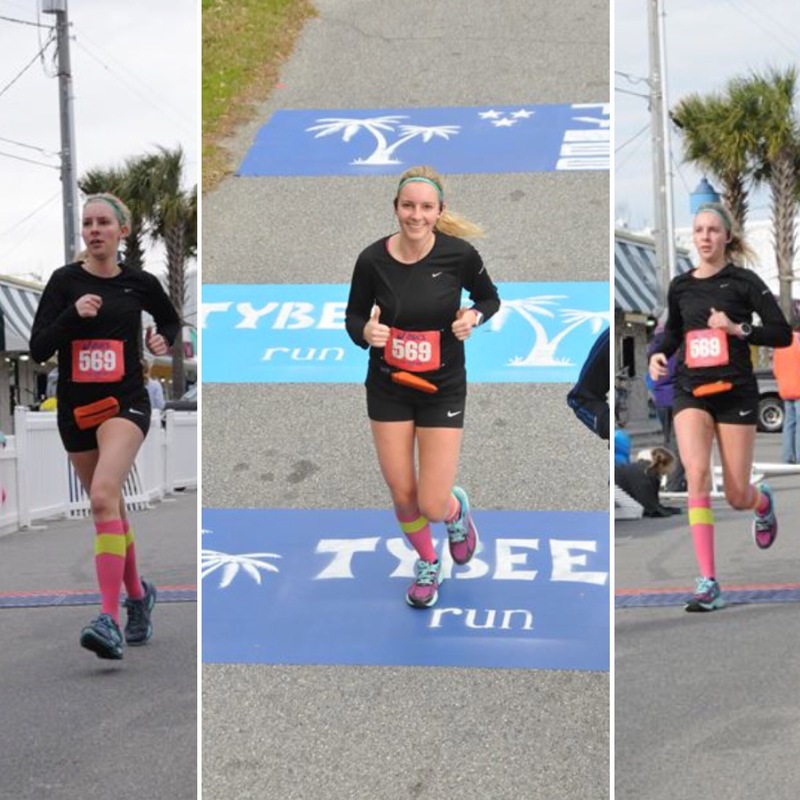 Sorry bear with me through this race recap because this race was QUITE the experience. Mostly ridiculous. 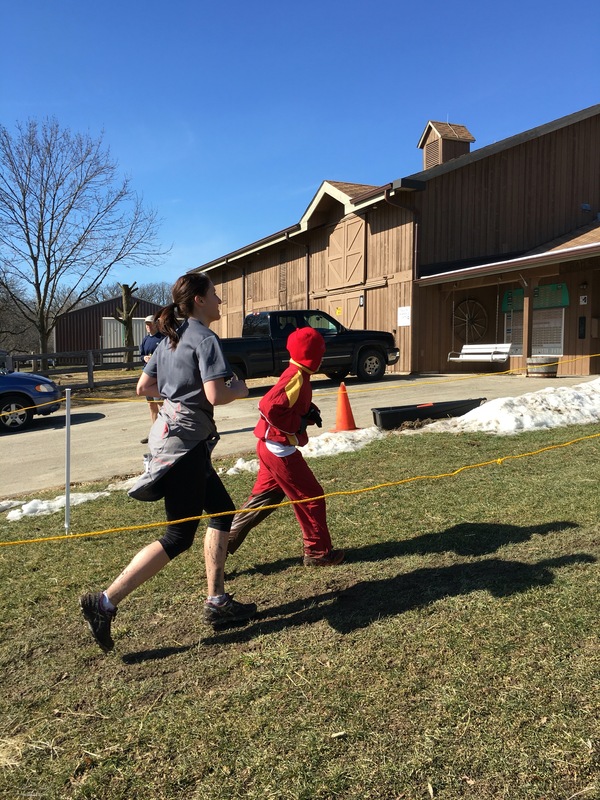 Jen and I set a goal to run one race a month for the entire year. January was a great experience, but February was something else. The race was a small one, so we weren’t near people much at all. Luckily we stuck with each other, otherwise we could have been completely alone. There weren’t even any volunteers out on the trails. By the end of the first mile our feet were soaked, our legs were mud covered, and we wanted to quit. We had eight miles to go. My Garmin died by mile three and the course didn’t have any mile markers so we had no concept of how far we’d gone or how many miles we had left. Again, a blessing and a curse. 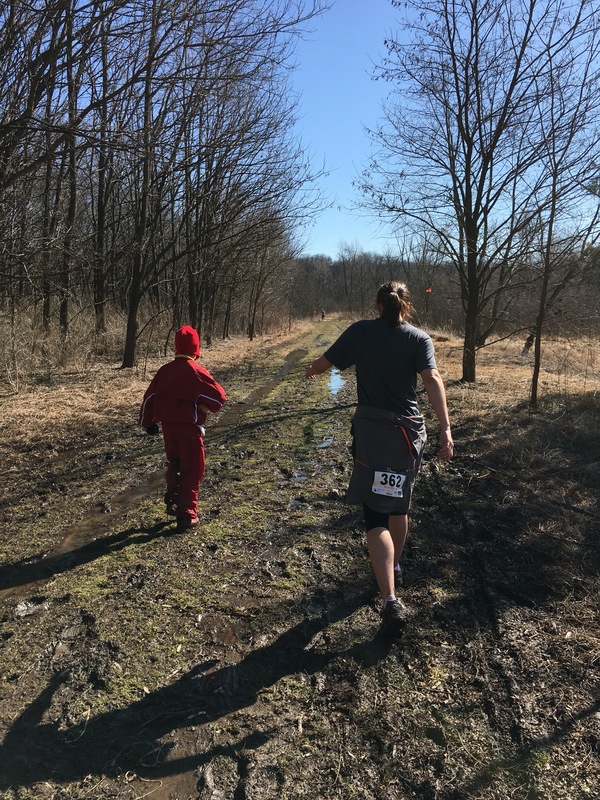 Somewhere between miles 3 and 4 we ran into a small boy who looked really sad. We asked him if he was okay and he said he lost his parents and he was really worried about them due to the conditions of the trails. We assured him that they were okay and that he should stick with us for the rest of the race. So from there on out Jen, Tommy, and I were a three man team. 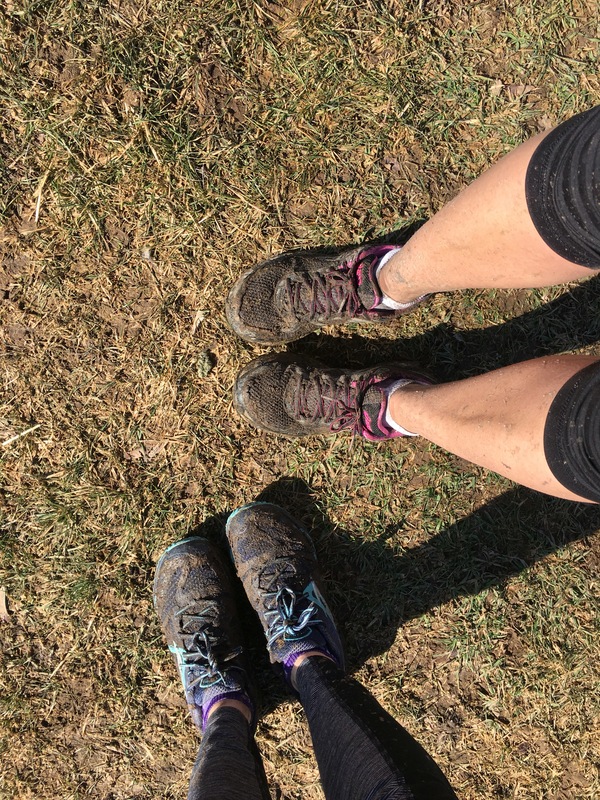 We walked a bit through the thick muddy areas. We ice skated across the ice sheets (legitimately clutching onto each other as we shuffled our feet). The whole thing was comical. But listening to an 11 year old boy tell us about his three previous half marathons and triathlons was inspiring. He was out there bravely fighting these trails too and we couldn’t give up if he wasn’t giving up. Running into Tommy was the best thing that could have happened to us during this race. 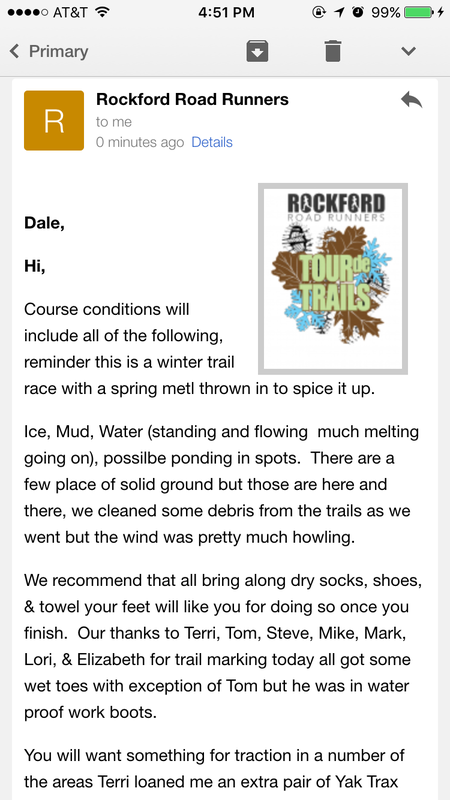 They really were horrible racing conditions and it wasn’t very fun, but we were in the right place at the right time. I feel like we were meant to run into this lost boy. 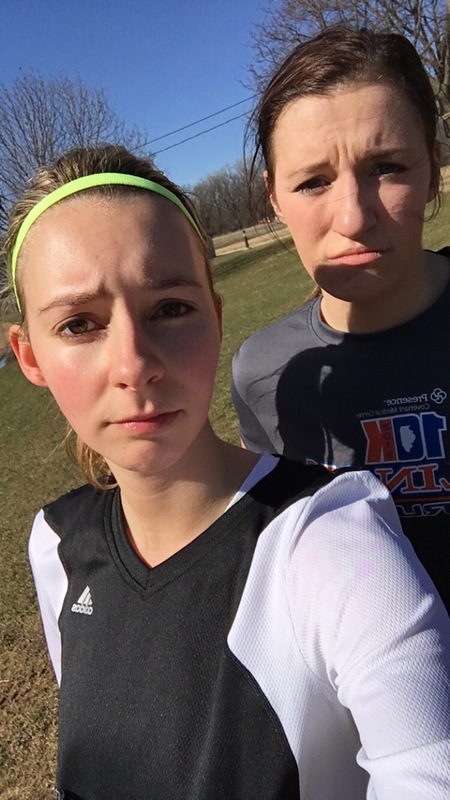 We were supposed to run this race together. We all got each other through it and we came out stronger. We were tough. We fought through it. 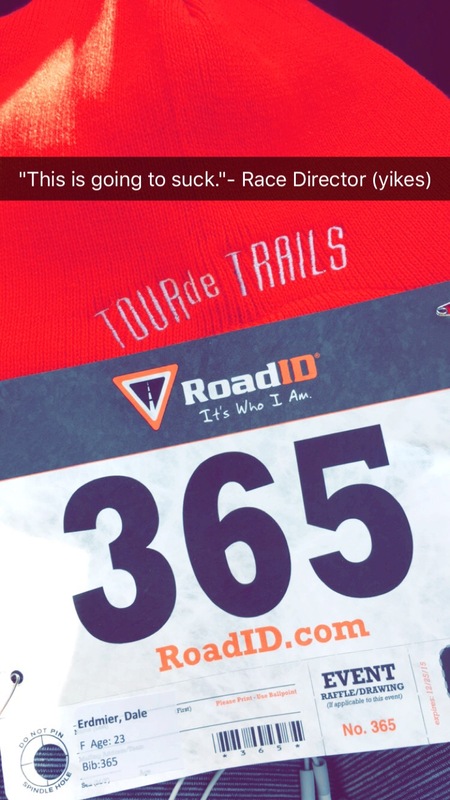 And we learned that we can never complain about a road race again. This 9 mile trail race took us 2 hours and 1 minute. And we were proud of that time. We fought a lot of elements and made some friends along the way. We learned that we’re tougher than we think. Every race teaches us something. And we’re really hoping our March race teaches us some less serious lessons. 2 months down, 10 to go! I love food. I’m always hungry (“rungry” more like it). And I’m okay with it. I’ve been a lot better about my nutrition the last couple years than I had been in the past, but lately I’ve really realized how important nutrition is in everything. (Especially running). I love to grocery shop. Yes, it’s expensive, but taking care of my body is really important to me and I know that starts with food. 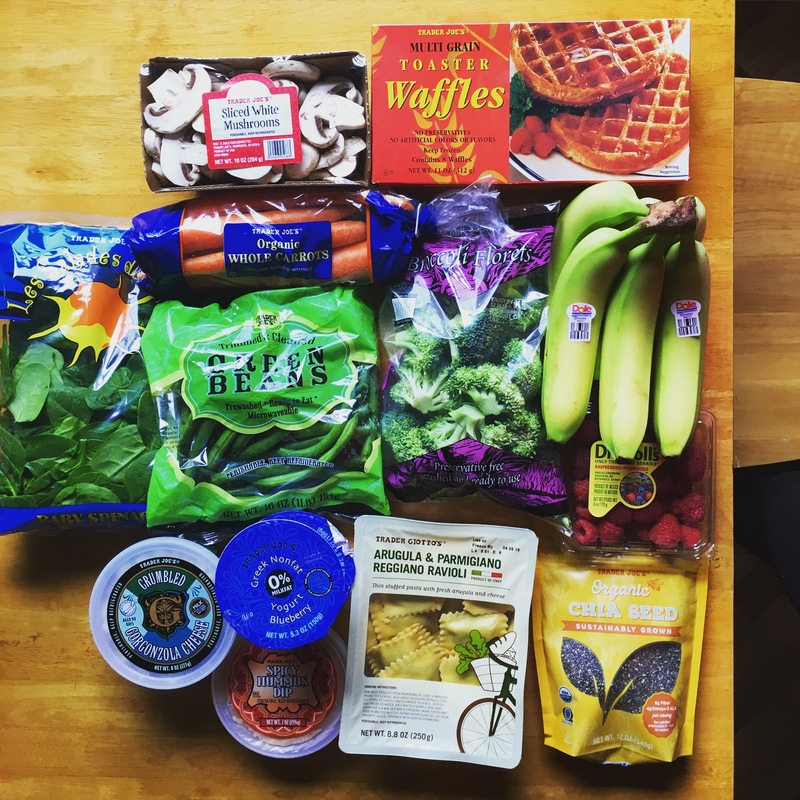 I’m okay with spending more money on healthy food. And honestly it isn’t that hard to eat healthy on a budget. 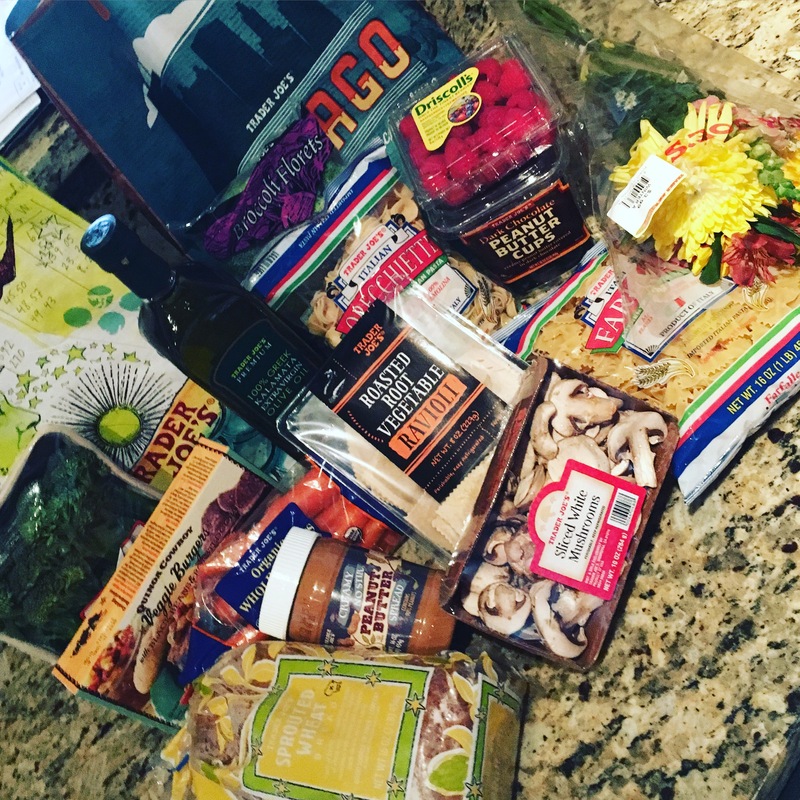 I’m a big Trader Joe’s fan and the prices are reasonable. I can spend $35-40 on Sunday and my boyfriend and I will be set for lunches and most of our dinners for the whole week. I try to have these items stocked at all times. I can do a lot with it! My typical day starts with either a Greek yogurt with fruit and granola, a green smoothie (almond milk, ice, peanut butter, banana, & spinach), or a piece of peanut butter banana toast. I’ll bring grapes or some sort of fruit and a Lara bar as a mid-morning snack. Lunch varies from salad, to quinoa with veggies, or a veggie burrito bowl (when I leave time to pack my lunch before work). And dinner is veggie stir fry, pasta, etc. I cook like a vegetarian. Early last summer I tried cutting meat out of my diet at least a couple days a week because I believe it’s better for the planet and better for my body. And it really wasn’t difficult. I’m not a huge meat person in general. Plus I HATE cooking raw meat. It grosses me out. So, when I cook for myself I eat vegetarian at least 5 days a week. I find that when I eat vegetarian I eat a lot more vegetables and I love that. I don’t know if I’ll ever completely cut out meat because I enjoy bacon or a good burger every now and then, but I really feel better without it. 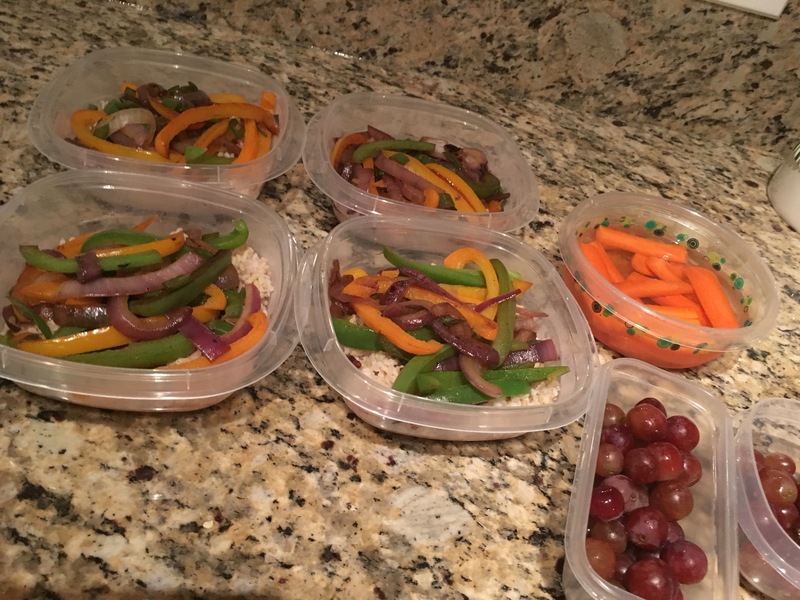 My boyfriend and I like to grocery shop and meal prep together. It takes a lot of time, but we enjoy it. And our bodies thank us for it. Fail to plan, plan to fail. Right? I eat a lot, but I try to make the best choices I can. I have a big sweet tooth, so I don’t deny myself of that. I think pizza is always a good idea. And I drink wine whenever I want to drink wine. I don’t count calories. It really just comes down to living a balanced life and fueling my body the best way I can. My best advice? Eat your veggies. 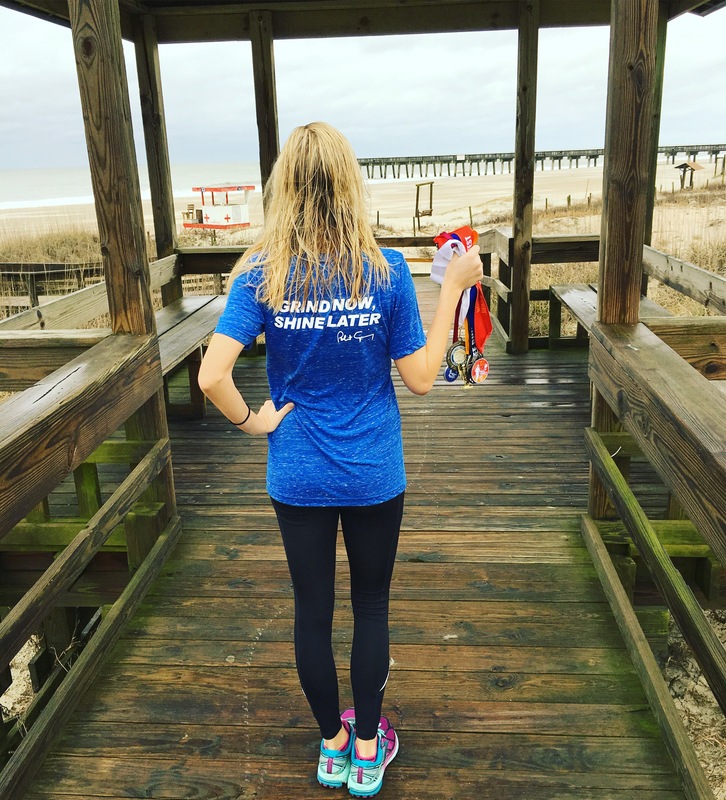 Run your miles. And enjoy that damn piece of pizza. 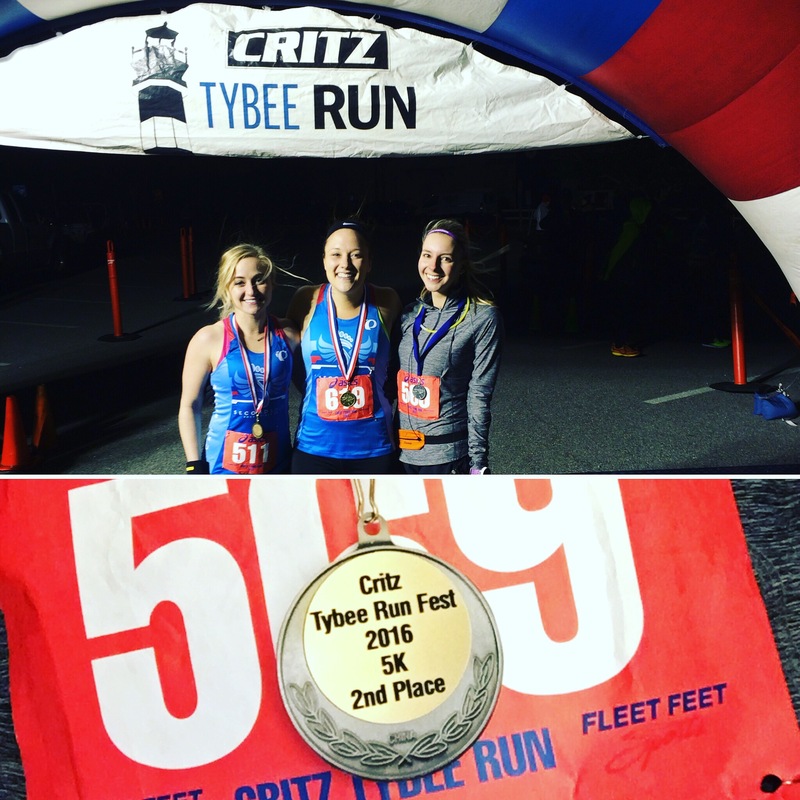 Tybee Run Fest Race Recap! 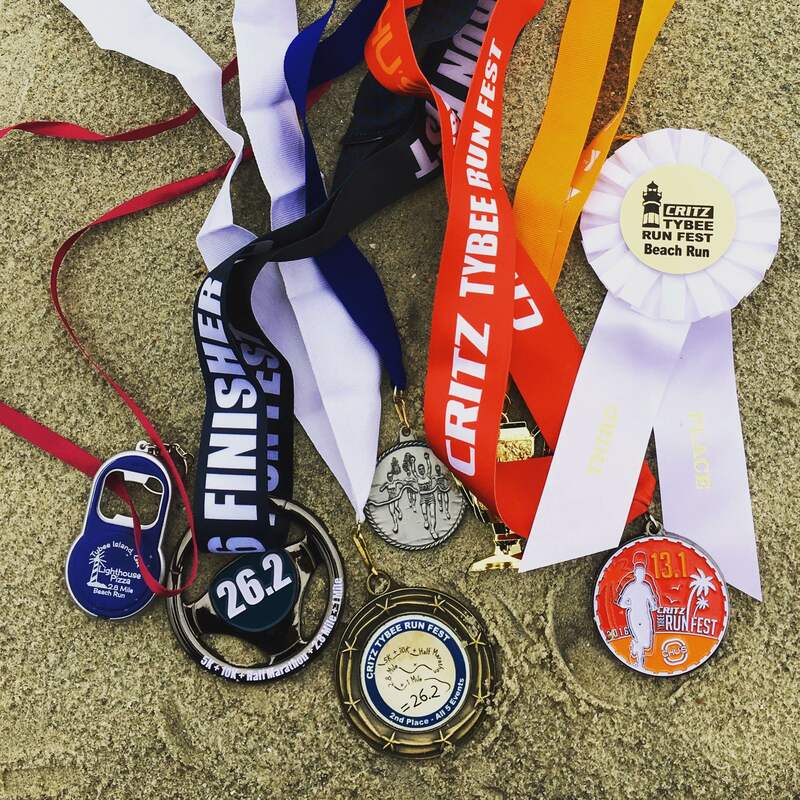 I’m a little late on this race recap, but life has been pretty crazy lately with moving and everything. Finally got around to writing it! Let me start by saying I absolutely loved this race. It was the perfect way to spend my 23rd birthday weekend. 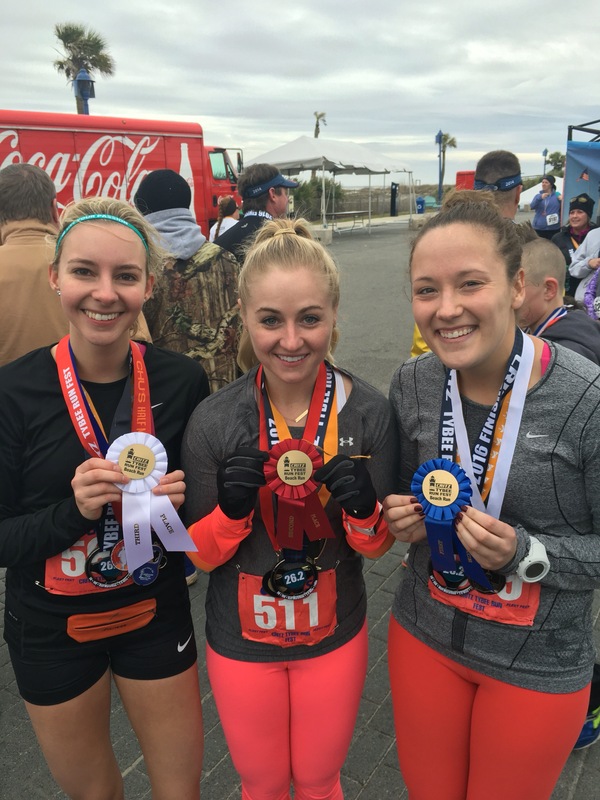 A trip to Georgia filled with running and good food was exactly what I wanted in a birthday celebration. 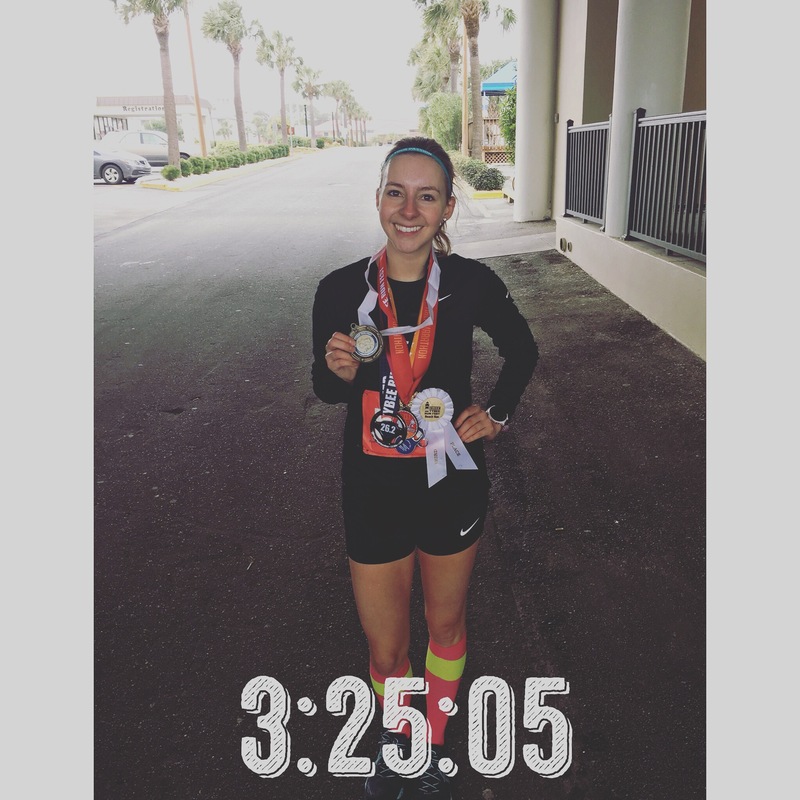 This race was five separate races that added up to the distance of one full marathon. 26.2 miles. 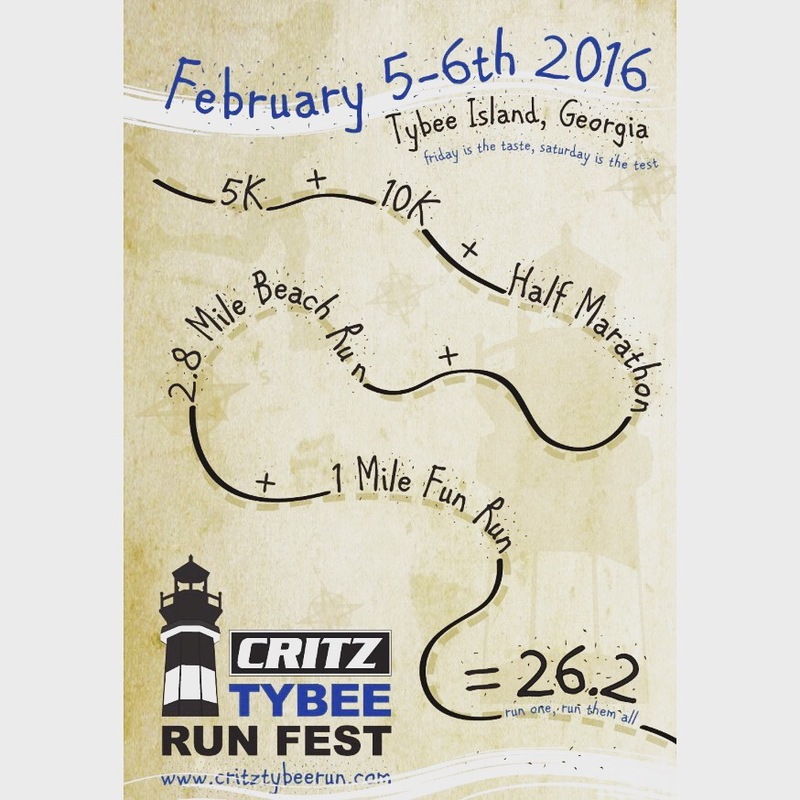 The line-up: 5K, 10K, Half Marathon, 2.8 Mile Beach Run, 1 Mile Fun Run. First up was the 5K on Friday night. I was able to pick up my packet about an hour before the race Friday night, head back to the hotel to change for the 5K, and make it to the start line on time with little stress. I love low-key packet pick-ups. I was honestly most nervous for the 5K because short distances freak me out and I’m not a great night runner, but I was excited anyways. I had a nice chat with an older woman while waiting at the start line. 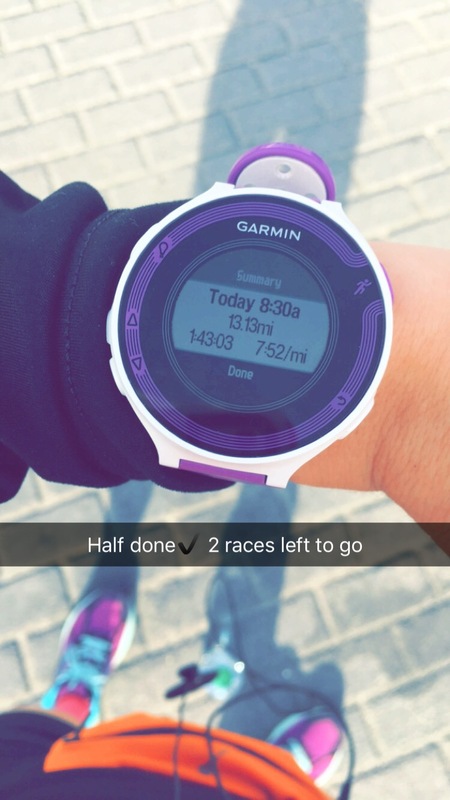 This was about to be her first marathon distance and it was a goal she’d had for herself her whole life. It was pretty inspiring to see her at the start line at the age of 70+. It was a great way to start off the race weekend. The 5K FLEW by. I was groovin’. It was pretty dark and I was little nervous about tripping and not being able to run the next morning (I’m a worrier), but all went well. I finished with a time of 21:22 – 6:53 pace. 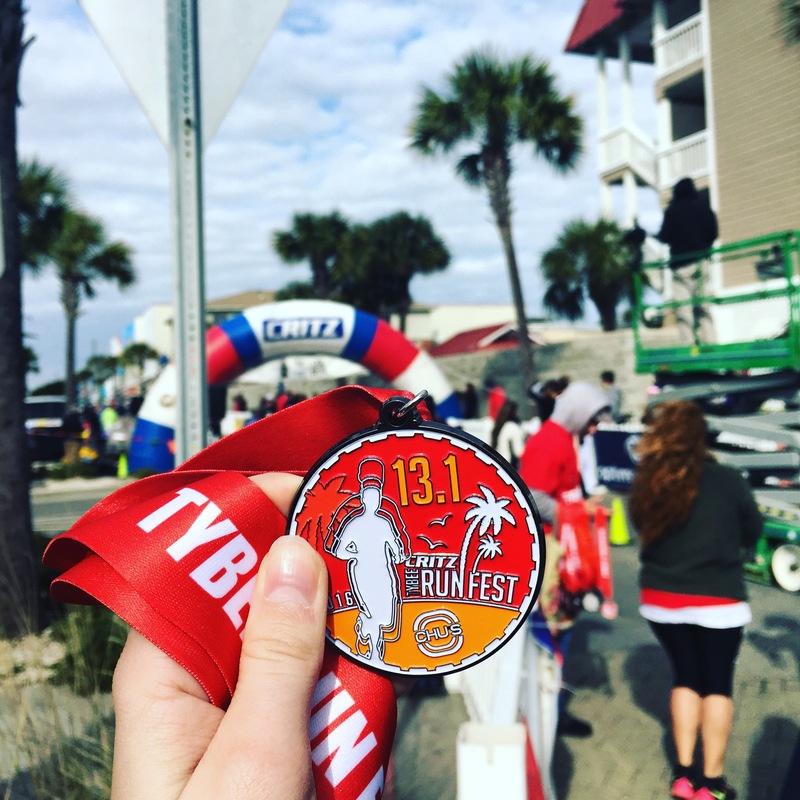 The fastest I’ve ever run a 5K! And I earned a second place in my age group, so I got a bonus medal. Plus I ran into keen_forarun & lindsey_runs at the finish line. SO awesome to hangout with these girls in real life. Saturday morning meant 4 more races. All pretty close together. I was ready. My legs felt okay even with the 5K PR from the night before and I was ready to conquer. 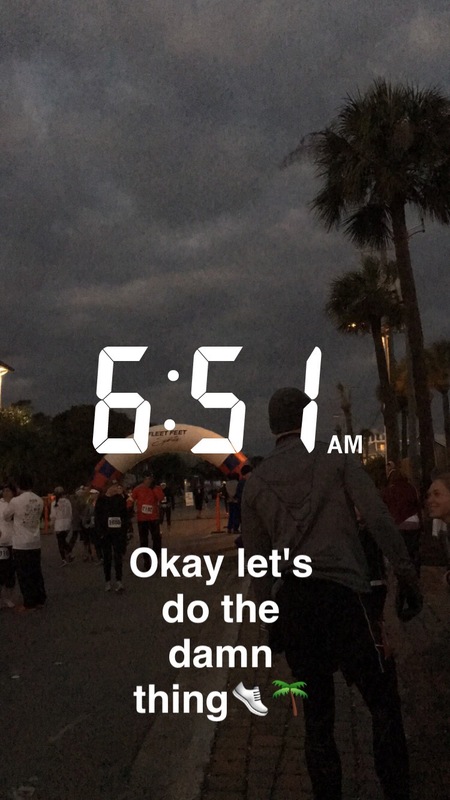 First up: the 10K at 7 AM. It was about 40 degrees and windy, but not raining, so I was happy. I might have taken it a little too fast, but I finished in 47:42 with a 7:41 pace. And guess what? It was a 10K PR. I couldn’t believe it. I felt great, but I still had a lot more miles to cover. A quick 20 minute break and then it was back to the start line for the half marathon. Mentally it was hard for me to cross a finish line, take a quick break, and then race again. But at least I got used to it after the first couple races. The half flew by as well. It was really windy and I tried to stay behind people to shield the wind a little bit. I kept my Garmin under my sleeve and didn’t check it the entire race. I was just running by feel and enjoying myself. Turns out I was only about 20 seconds off my half marathon PR. What?! Again I was shocked. Finished with a time of 1:43:02 – 7:53 pace. SO happy with this time. I’d just run 19.3 miles at a sub eight minute pace? This was way more impressive than I thought I would be. The next break was the hardest because it was over an hour. 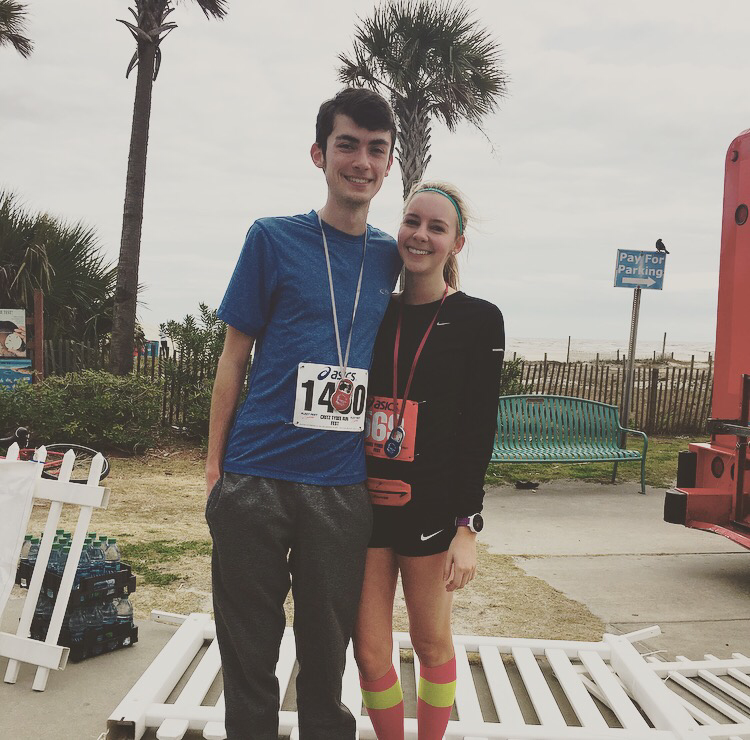 Luckily my boyfriend was running the beach run with me, so I had that as a change of pace. There were 30-40 MPH winds coming off the ocean. Nuts. And we were running on sand. I felt like my legs weren’t moving. The 1.4 miles out felt like they’d never end. I was averaging about a 9:30 pace and I felt like I was sprinting, but at least it was an out and back course. We turned around (around a person in a shark costume) and had the wind at our backs for the second half, which helped a lot. Ended up finishing with a time of 24:26 – 8:51 pace. 3rd place in my age group! I hadn’t had any practice running on sand, but it was better than I expected. If the wind hadn’t been so crazy I actually might have enjoyed it. Either way it was a cool experience because it was something different. The end was near. A short 30 minutes break in-between the beach run and the the 1 mile fun run was all that was left. I got to the start line with Kati & Lindsey. It was nice to have the company after/before each race. And they were both killing it, so it was fun to see them doing so well. We just had 1 mile left. It was a pretty slow mile and my legs felt like bags of bricks, but I managed to get through it. 1 mile. 8:15 pace. And I was done. YES! I’m so happy I decided to do this race. I really pushed myself. I trained harder in the month of January than I ever had before. 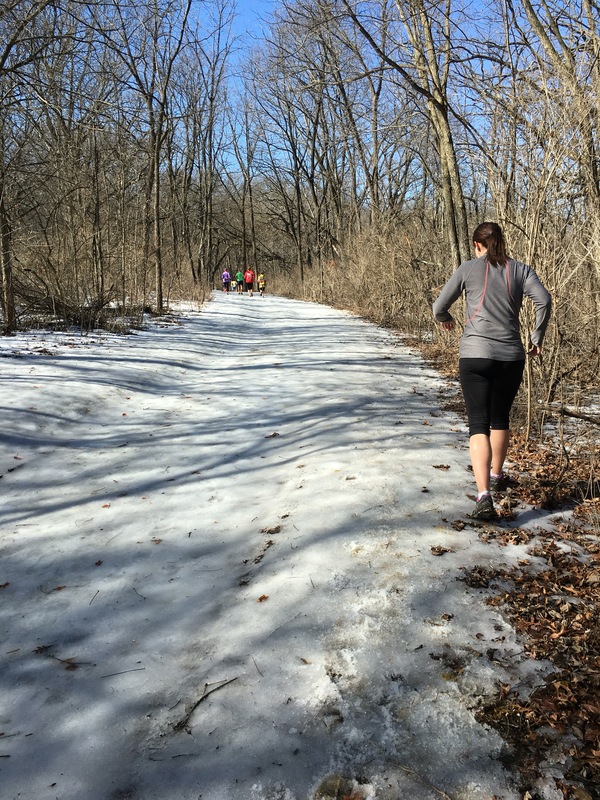 I didn’t think I could pull off the marathon distance in the middle of Winter, but I did. And I did it well. This race gave me the confidence boost I needed to train for a Boston Qualifying time this fall. I really am faster than I think. And I just need to keep pushing myself! I’ll be back Tybee. You were the best.